To fit heater hoses on a rubber bumper 1500 car. 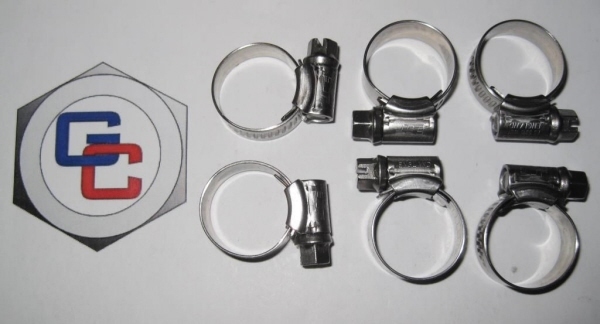 HI-GRIP STAINLESS hose clips (hose clamps) are made entirely from 18/8 marine quality stainless steel. They have Lloyd's Register Type Approval for marine, offshore and industrial use. They also have the British Kite Mark.